When you're traveling, it's important to know there are affordable hotel rooms nearby, with the features and amenities you want, and that they're near things you might enjoy. 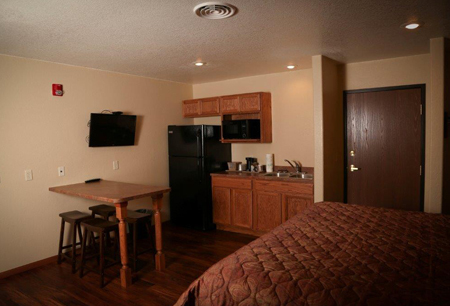 At Northern Lights Inn of Britton, South Dakota, we offer a range of lodgings, including handicap-accessible rooms, to meet any need. We're also located near several restaurants, amazing glacial lakes, and much more. Both rooms and suites are available with beds up to king size. Each morning, you'll have access to a free continental breakfast, along with daily room and linen cleaning services. You'll enjoy the quiet atmosphere of our hotel, as well as the cleanliness of the spaces inside. All rooms are located on a single level, making all of our rooms easy to get into. We also have a specially designed room with an easily accessible shower for those with more extensive needs. There are 17 rooms and suites in total, so reserve yours today!